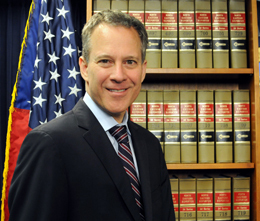 A new $1.8 million program was created in New York to fund the development of climate-change responses on a local level, New York Attorney General Eric Schneiderman said on Tuesday as he unveiled the program: the Community Climate Initiative. Schneiderman said the program will offer competitive grants to local organizations around the state to help fund their responses to climate change in their own communities. Initiatives can be anything from promoting energy efficiency and renewable energy to encouraging the fight against air pollution, Schneiderman said. The $1.8 million in funding came from a 2007 settlement with American Electric Power, Schneiderman said. Schneiderman said he plans to “solicit a wide range of proposals” from organizations in order to promote climate-change responses in communities around the state. The program will look to fund the best proposals from organizations, but it will also look to diversify geographically to serve communities that have seen the most environmental-impact damage.